This finely crafted work draws the reader into an experiential, wholly original perspective on the nature of time and human awareness. This finely crafted work presents an experiential, wholly original perspective on the nature of time and human awareness. Readers interested in the study of consciousness will begin to understand the importance of time to the unfoldment of unity consciousness and self-realization. Physics readers will marvel at how quantum mechanics can be elucidated from the inside out. Most people think of time simply as a passive, mechanical tool for measuring reality. The new idea introduced here is that time is a dynamic field responsible for creating the material universe. The Reality of Time seeks to explain that inner reality. The conceptual vocabulary builds upon itself chapter by chapter so that terms become self-evident and create a momentum to the text and thereby to the excitement of the reader. Temporal mechanics becomes a lucid, fast-moving, wave of carefully woven feeling as well as precision knowledge. Part I, “The Structure of Time,” explains the relationship of time, space, and matter. It delineates the fundamental structures by which time constructs the universe: loops, curves, cloak, skin, signature, and others. It also lays the groundwork for an understanding of the possibility of time travel. Part II, “The Perception of Time,” focuses on the psychological framework by which personal and social reality are defined, through the interaction of the individual with the universal power of time. The development of a new kind of “nonreferential” experience of time is set forth as a vision of how human consciousness will function in the future. Part III, “Cosmic Time,” unfolds the spiritual dimension underlying physical reality through the lens of time. The examination of higher realities leads naturally to a consideration of God consciousness and the role of eternal beings in maintaining the cosmos. To read this book, one must visit the pages regularly with the purpose not of complete comprehension but with complete immersion. When the mind is lost, when the heart has found its voice, there is a feeling that time itself has ceased. One has entered some other world that has never before been seen, invoking the sense that there is something startlingly new to which one is witness. One can open this book at any point, find a train of thought and trace it back to a central axis. Terms that appear, which at first might seem strange or unclear, will find their way to comprehension through repetition and contextual use, becoming old friends like the words of some ancient but somehow familiar language. This book gives voice to the freedom enjoyed by those who can transcend time through their own awareness and be free of imposed restrictions on the naturally holographic avenues of the mind. 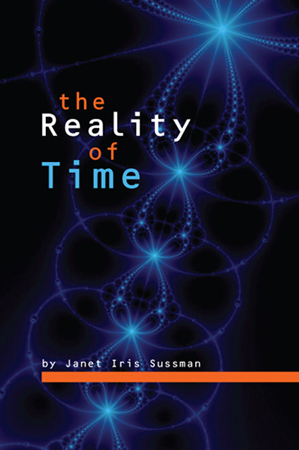 The Reality of Time is available for purchase through Paypal or a major credit card by clicking this button and following the checkout instructions.